Whether you're noticing foundation wall cracks, floor cracks, uneven floors, sticking windows and doors, tilting chimneys, or outdoor concrete that's sinking, we can help you with your concerns. We'll come to your location and diagnose what the problems are and how we can best solve them. 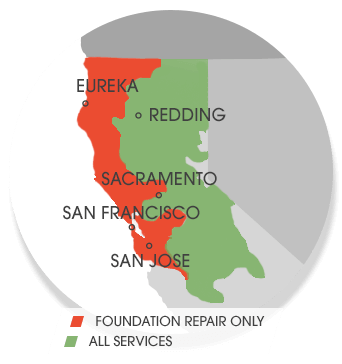 We offer Free Estimates for all your foundation repair needs. Call us today and our team of professionals will help you solve your residential and commercial foundation repair issues.